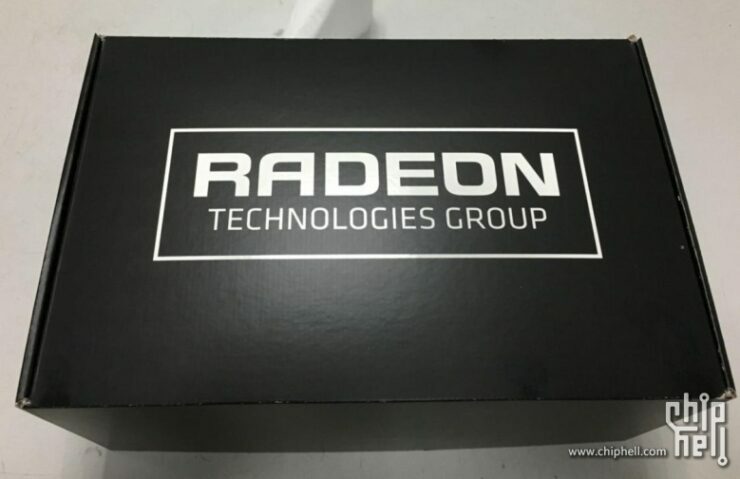 The flagship AMD Radeon Pro Duo graphics card has been unboxed by various sources. The behemoth featuring two full fat Fiji XT cores toppled with HBM DRAM is a 16 TFLOPs compute cruncher that is designed for both enthusiast gamers and professional users. 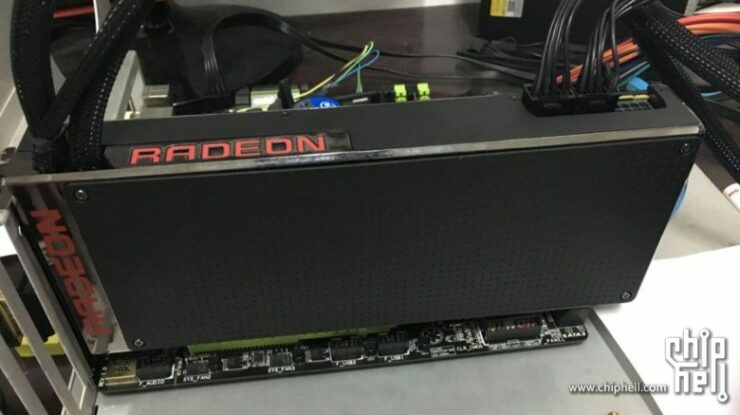 The AMD Radeon Pro Duo is confirmed to be launching on 26th of April but looks like many users have already gotten a hand on the dual chip card. 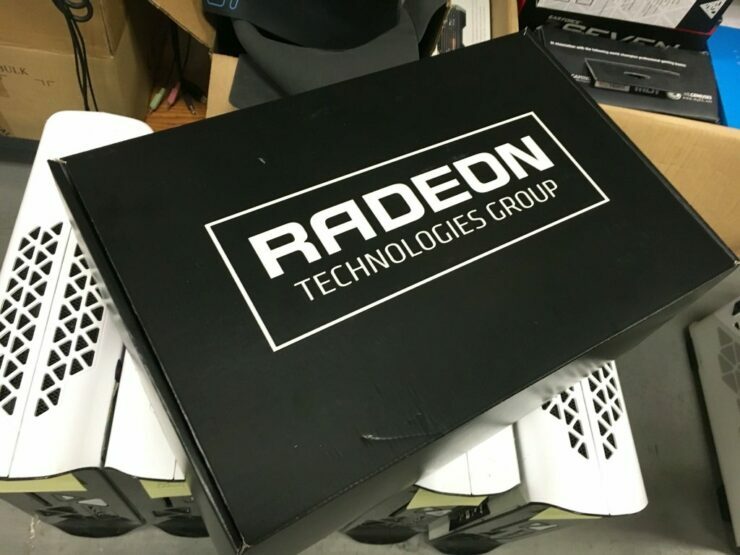 First package unboxing pictures of the Radeon Pro Duo posted on iBuyPower’s Twitter page. 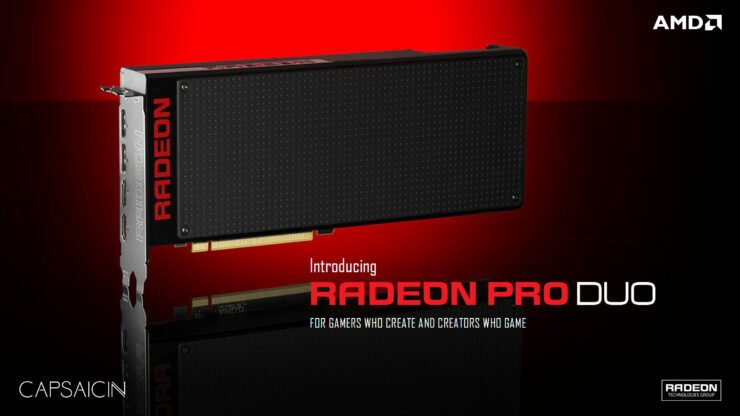 AMD’s Radeon Pro Duo is finally arriving to consumers at the end of this month. The flagship graphics card from AMD took was announced almost a year back and has undergone huge design changes. AMD initially wanted to make the Radeon Pro Duo an efficient card like their Radeon R9 Nano but they unchained both Fiji GPUs on the card and went for a serious compute and performance oriented design. The Radeon Pro Duo hence comes with dual Fiji GPU cores that are clocked around the same specifications as the Fury series cards. The Radeon Pro Duo comes with two Fiji XT cores, each comprising of 4096 shaders that adds up to 8192 on the card itself. 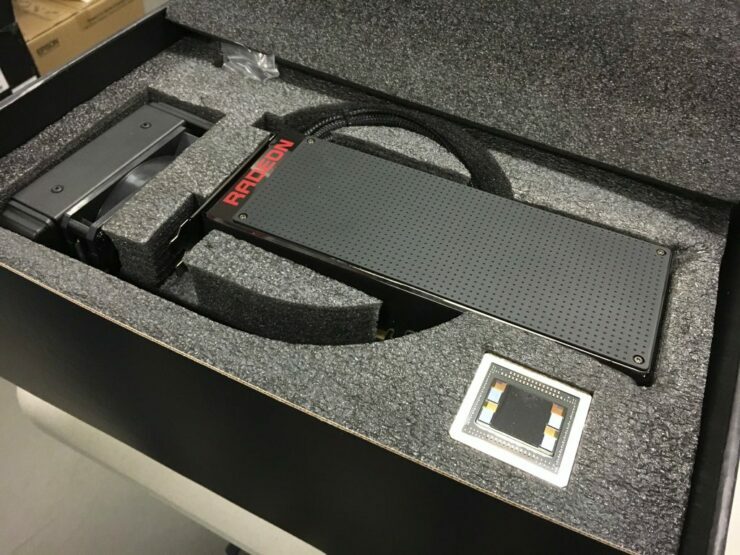 Each core has 64 raster operation units and 256 texture mapping units while the core clock is maintained up to 1000 MHz. 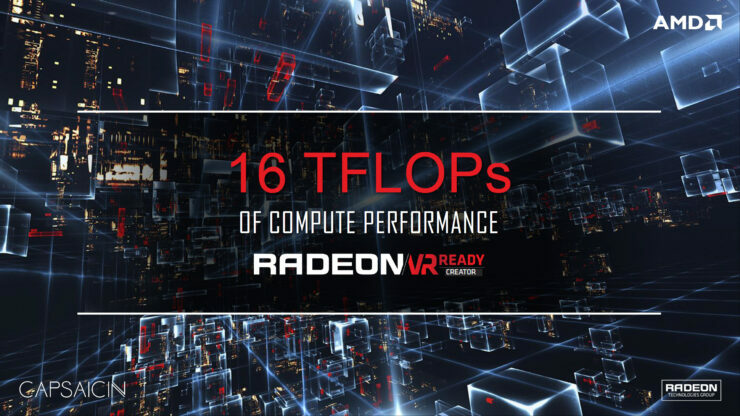 This allows the card to deliver 16 TFLOPs of single precision (FP32) compute which is currently the highest any graphics card could offer. The dual Fiji GPUs really form a great duo as a FP32 oriented compute card. 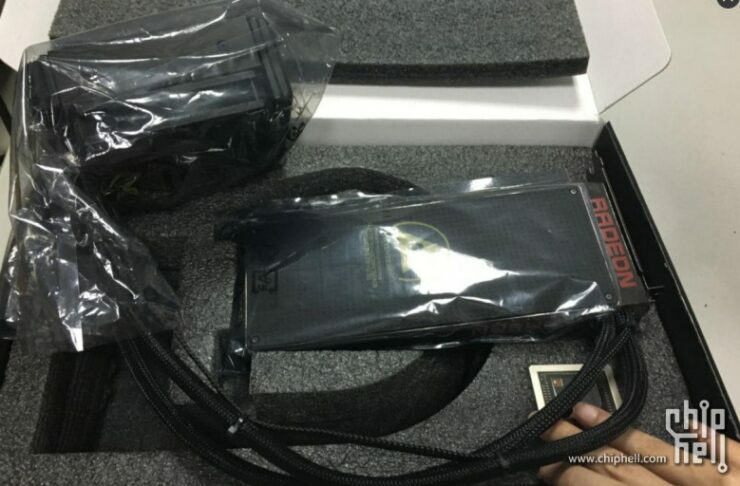 Even more pictures of t he Radeon Pro Duo posted over at Chinese Forums! Some of the technical features of the Pro Duo presented by AMD at their Capsaicin 2016 presentation! The AMD Radeon Pro Duo is a really fast graphics card and as such requires three 8-Pin PCI-Express power pins to boot it up. The TDP of the card is 350W which is around the same wattage we should expect from dual-chip cards. Display outputs include four Display Port connectors. 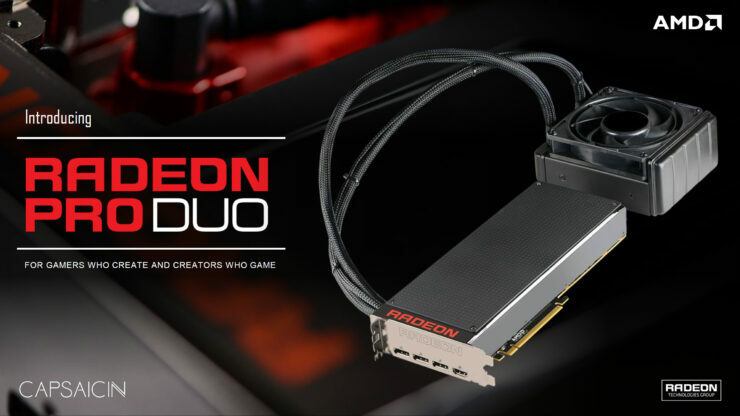 AMD has been water cooling their flagship cards since the Radeon R9 295X2 and they are keeping the tradition alive with the Radeon Pro Duo. AMD patched up with Cooler Master to develop the water cooling solution for the Radeon Pro Duo. While it has been little talked about, the cooling solution has to be one of the best looking designs ever created. The AIO water block and pump fitted underneath the GPU shroud is absolutely fantastic. The AMD Radeon Pro Duo features an impressive Cooler Master AIO Liquid Cooler! 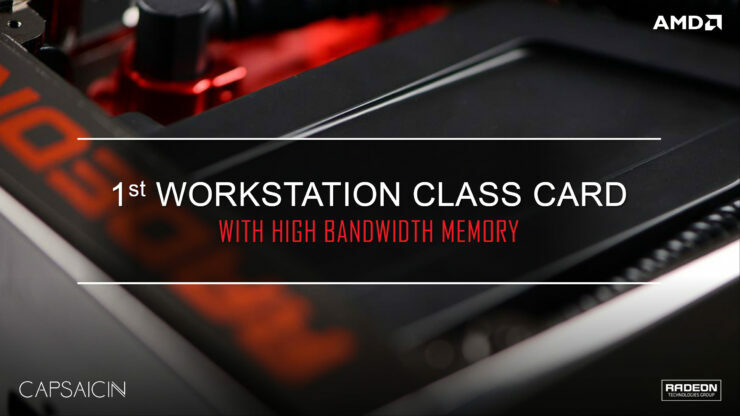 The whole card makes use of a premium design that features sleeved tubing, soft touch front and back plates, LED logo, matte black PCB and ​nickel-plated aluminum chassis. 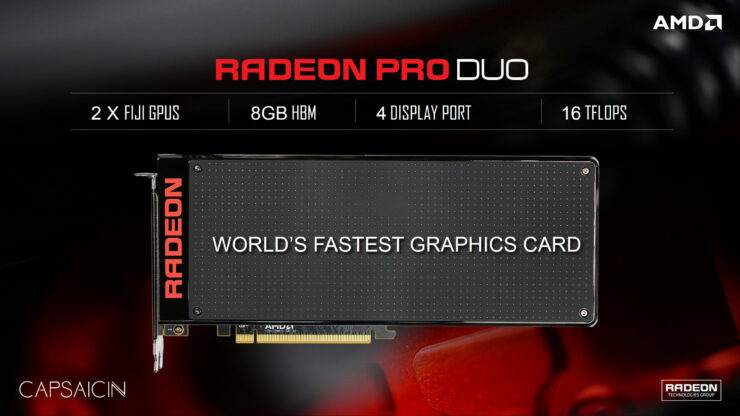 Premium products like the Radeon Pro Duo do come at a premium price and AMD is asking $1500 US for their Radeon Pro Duo graphics card.